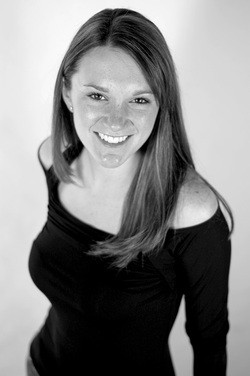 Melissa Curtis, soprano, holds a B.M. in Commercial Music from Millikin University. While at Millikin she was privileged to perform with the prestigious Millikin University Choir as well as the vocal jazz group “One Voice”. Upon graduating, she was accepted to study and perform early music in Italy at the Centro Studi Urbania. Melissa is a sought after soprano in the Chicagoland area and is known for her variety of vocal stylings. She is a founding member of the early music ensemble The Marion Consort, and is also the soprano section leader for the Wicker Park Choral Singers. Outside of her studio and performance life, she enjoys writing and recording original music as well as collaborating with other recording artists and singing with her band Revolutionary Lion. Melissa currently resides in Chicago, Illinois and is a piano and vocal instructor in Chicago, Geneva, Lockport, Frankfort, and Lombard. Melissa is also a member of the National Association of Teachers of Singing (NATS), and is the director of Lincoln Way East's Vocal Jazz ensembles. 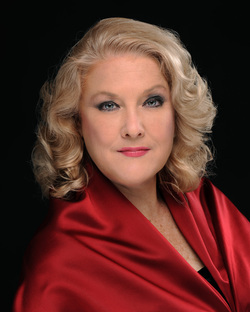 Dr. Stacy Eckert, mezzo-soprano, has sung professionally throughout the United States and in Europe. She received her BFA in Theatre/Voice from the University of Kansas and her MM and DMA in Vocal performance with a minor in Theatre from the University of Illinois-Urbana. Her operatic roles include the title roles in Carmen and Regina; “Cherubino” in Le Nozze di Figaro; “Waltraute” in Die Walkure; among others. She regularly performs with orchestras throughout the United States. Favorite works in which she has been feature soloist include Beethoven’s Missa solemnis and Symphony No. 9, Verdi’s Requiem, Brahms’ Alto Rhapsody, and Bernstein’s Jeremiah Symphony. She most recently performed with members of the Chicago Symphony Orchestra in the Family Matinee series “Mother Goose and More”. She is a member of the Chicago Symphony Chorus and Grant Park Chorus. Dr. Eckert is also proficient in Broadway, having performed the roles of “Eliza” in My Fair Lady, “Adelaide” in Guys & Dolls, and “Johanna” in Sweeney Todd, among others. Dr. Eckert teaches a bel canto style of singing to try to insure a resonant and healthy voice. She has had an active vocal studio for over 30 years. Her students have gone on to perform at New York City Opera and Broadway, or as strong music educators. Ann McMann-Kotze is an acclaimed soprano who has sung with numerous opera companies and symphonies in the U.S. and abroad. She has soloed in the Verdi Requiem, the Mozart Requiem, the Strauss Four Last Songs, the Beethoven Ninth Symphony and Missa Solemnis, as well as Handel’s Messiah to name a few. Favorite operas and operettas that Ms. McMann has sung leading roles in are Tosca, Gianni Schicchi, Le Nozze di Figaro, Hansel und Gretel, Carmen, Amahl and the Night Visitors, Cosi fan Tutte, Countess Maritza, The New Moon, and The Gypsy Princess. Equally at home in the world of musical theatre, Ms. McMann has been the soprano soloist in many pops concerts with area symphonies as well. She has appeared on Broadway and on tour in The Phantom of the Opera and ShowBoat. Regionally she has performed in Brigadoon, Les Miserables, Oliver, The Sound of Music, Sweeney Todd, Cats, The Music Man, and The Pirates of Penzance as well as many others. 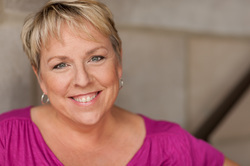 Ms. McMann has kept a thriving voice studio for over 25 years and also is on the faculty of the theatre conservatory at Roosevelt University. Born and raised in the Chicagoland area by music lovers, Dan Simpson took to singing and music from a young age, performing with a multitude of middle school, high school, then collegiate choral ensembles and small a cappella groups, including Millikin's University choir, under the direction of Dr. Brad Holmes, as well as the early music ensemble Tudor Voices. Dan was also the student director of the Madrigal Singers. Eventually, Dan made his professional vocal debut on Chicago’s Navy Pier in 2006 performing daily for crowds. Recently, he has performed in area church choirs and with groups such as Stone Cold Cash, an authentic Johnny Cash tribute act, The Marion Consort, a semi-professional early music ensemble, and the Wicker Park Choral Singers, a local choir with 35+ voices. Over the past 10+ years, Dan has worked professionally on a veritable cornucopia of projects, including Voice Overs for commercials, corporate ad work, narration, and character voices. Aside from freelancing music projects, teaching voice/guitar/ukulele, and feeding his cats, Dan spends his time falling over himself because of the overwhelming support and love from his partner, Melissa. Amanda Sirvatka has had an eighteen-year career being a high school choir director. She began her career as choir director at Waubonsie Valley High School in Aurora for four years before working the next fourteen years as a choir director for Carl Sandburg High School in Orland Park. She is seasoned in working with all years of high school and with every level of experience in students. Her philosophy for her students is that they become comprehensive, independent musicians. She has spent her career developing and enhancing choir programs, and now has chosen to step into the private sector of teaching and vocal coaching the individual while being a realtor in DuPage County. Students in her choir have gone on to be music educators, performers, and ambassadors for music.